In 2015, What Should We Expect From Search? It’s that time again: time to prognosticate about what the coming year will bring in our search software market. Lest anyone think search is a stale market, there are foundational deals now in place that illuminate how this market will evolve in an exciting way. 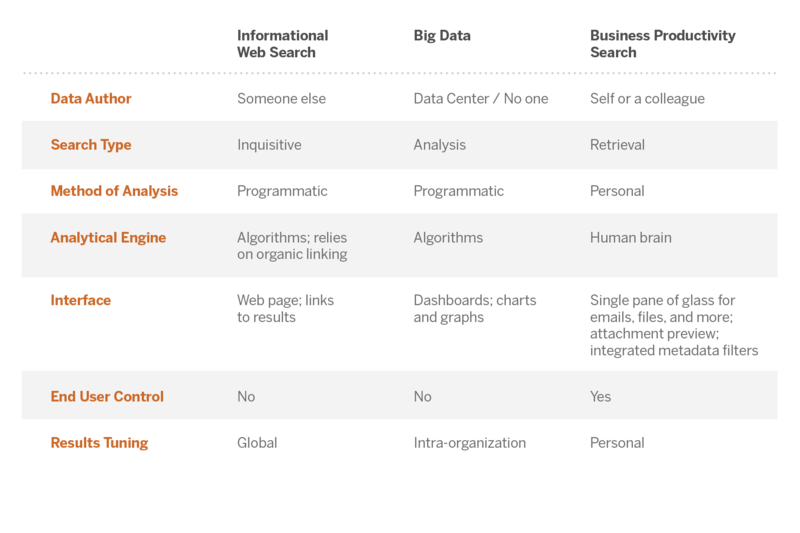 This evolution will usher in a new era in the search market – one in which enterprises achieve positive ROI on search projects and actually love the technology. In 2015, companies will be able to deploy enterprise search and enable employees to actually find the information they are looking for. The key to this enterprise search evolution is the recognition that success lies with an optimal end-user experience. Over the past six months at X1, we have been educating the market on how to put end-users first with our whitepaper on why traditional enterprise search failed and our webinar on business productivity search. How do we know that this end-user experience factor is the key to successful enterprise search initiatives? Because we are seeing it play out in some exciting new deals over the last few months. A large global technology firm purchased 15K+ seats of X1 SearchTM so that employees can quickly find the information they need to do their jobs. This firm actually has set up its IT function to serve employees the way a consumer technology company would serve its customers. The IT department creates a set of applications that employees can pull from based on their role. X1 is a critically important application in each toolbox. A large Government Agency within the Department of Defense purchased 10K+ seats of X1 Search and the Symantec Enterprise Vault Connector in addition to X1 Rapid DiscoveryTM so that employees would have a single-pane-of-glass view across information regardless of where it is stored. This is a compelling example of how end-user requirements to have a single interface, in which to search across active and archived emails, drove a broader enterprise search initiative. Another large Government Agency purchased over 20,000 seats of X1 Search Virtual Edition and X1 Rapid Discovery amounting to a $1 million deal. This deal enables the agency to roll out its Virtual Desktop Infrastructure (VDI) more broadly and meet several security requirements while ensuring that high-value employees have critical knowledge at their fingertips via X1. Not only does this agency get the excellent X1 search experience, but it is able to fully leverage its VDI technology because of the complementary nature of X1 Search 8, Virtual Edition. In addition, we have seen several enterprise-wide purchases and rollouts of X1 Search by professional services and financial institutions ranging from 2,000 to 5,000 seats. These organizations understand that employee knowledge is the fuel upon which the business runs. Giving users an easy way to find what they need to stay productive is key to maintaining profitability. These deals show that the evolution to business productivity search as the dominant use-case for enterprise search is well underway. X1 offers the best end-user search experience in the market. Customer surveys (run by the customers, not X1) routinely show that 85%+ of Search 8 users truly like the product. Most enterprise software approval ratings hover in the 20% range (based on my experience as an analyst at Forrester Research). As we close the books on a banner 2014 at X1, we are extremely excited to continue this evolution in 2015.